Up For Some Spooky Crafting? 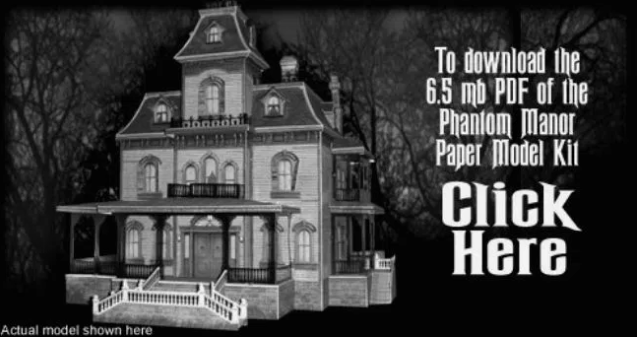 You Can Print And Make These Amazing Miniature Haunted Houses For Free! Are you craving a good old haunted crafting session? Head on over to Haunted Dimensions, where multi-media artist and design maven Ray Keim has made it possible to download, print, and craft miniature haunted houses of his own design. And the best part? It's free! Keim is known for his work making props and models for Universal Studios, notably for their annual Halloween Horror Nights extravaganza. He generously made paper versions of his models available online for all us horror heads. If you build one of these exquisite haunted mansions and take a photo, be sure to credit him and don't repackage or resell his work. It took him many hours to create these designs, after all! Click on the designs below to be taken to their download page. Which one do you want to make? Let us know in the comment section below. Happy crafting!